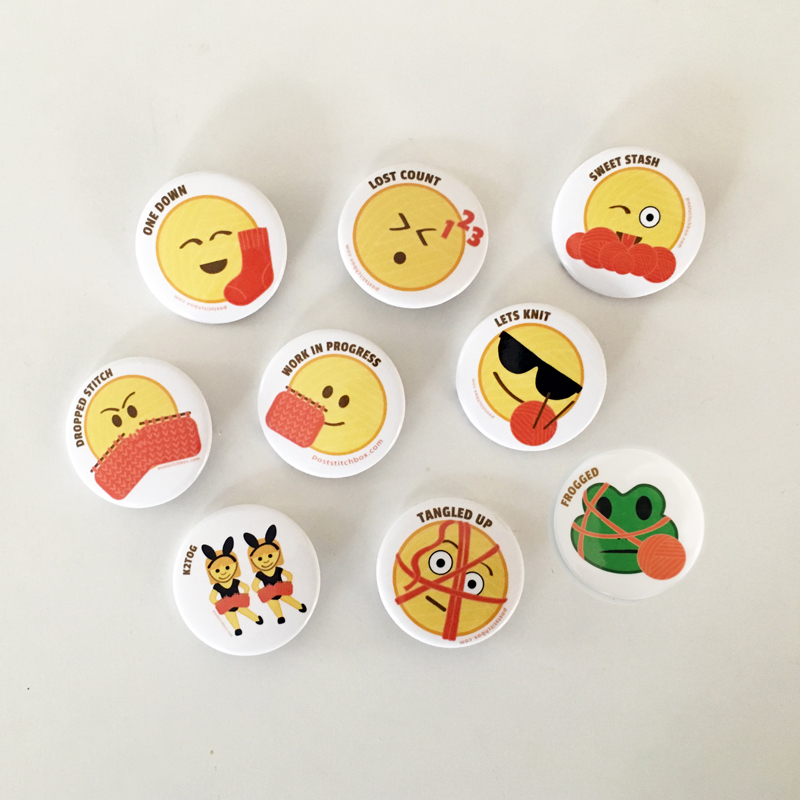 We have made our extremely popular, original knitting emoticons into pins! Show off your favorites on your project bag or gift them to your knitting group. They're sure to bring a smile to your face when you drop a stitch, finish a sock, or have to frog a project - because we've all be there and know just how you feel! Each pin is 1.5" and has a traditional pin backing. 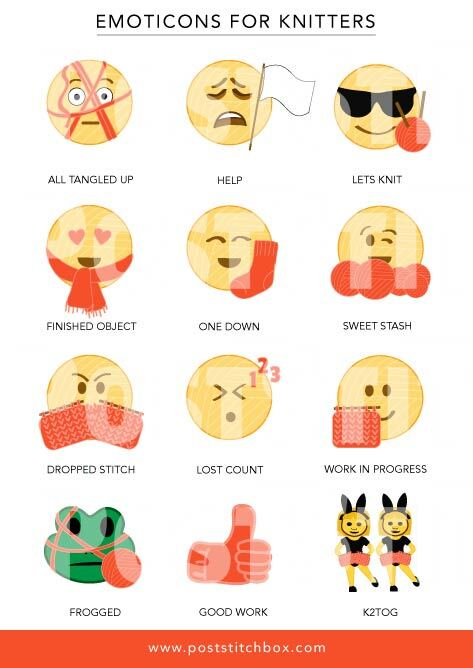 Note: these emoticon copyright protected and property of PostStitch, LLC. Do not replicate without the consent of PostStitch.